CHRIST THE CENTRE OF THE BIBLE. 1 & 2 Timothy. 1 & 2 TIMOTHY - Christ`s Life within gives Strength for Ministry. Timothy, son of a Greek father and a Jewish mother, was converted by Paul on his first missionary journey, at Lystra. On the second missionary journey, he became the Apostle`s companion, and from then on was his constant helper, loving, loved and utterly trusted. Although Timothy was only a young man Paul repeatedly sent him on important missions, as to encourage the Macedonian believers in the midst of persecution, and to represent the Apostle`s authority in the face of disaffection at Corinth. We also see that Timothy is comforting and supporting Paul during his imprisonment at Rome. After the Apostle`s liberation they together visited Asia, and there Paul entrusted to Timothy the oversight of the believers at Ephesus. Paul instructed Timothy to deal severely with false teachers. To combat these errors Paul puts forward the glorious gospel of the blessed God. Timothy must safeguard against other doctrines - don`t mix fables and legends with the Gospel. Paul warns Timothy to hold faith and a good conscience because these save men from spiritual shipwreck. Timothy is charged to `fight the good warfare,` and that it is the grace of Christ that is his strength, as it was with Paul. Previous entry CHRIST THE CENTRE OF THE BIBLE. 1 & 2 Thessalonians. Next entry CHRIST THE CENTRE OF THE BIBLE. Titus. How wonderful for Paul to have had someone like Timothy on board! What a support he proved to be. No wonder Paul calls him "my true son in the faith". The advice Paul gave Timothy as a young man would have been wonderful, as a father lovingly instructs his son in wisdom. So in a sense then Paul was passing the battan onto Timothy which btw what ever did happen to Timothy? Paul and Timothy remind me a little of David and Johnathan and that close bond. Timothy must have been very advanced in his spirtiaul landscape then for Paul to instruct him in this way. Yes, Paul was "discipling" Timothy; helping him to grow into a man of God, as God would have required him to go on and fight the good fight after Paul had gone. He recognised that Timothy was someone he could trust with Godly wisdom; that Timothy would be a man God would use for great things - planting and leading churches with true doctrine, so invested his knowledge and wisdom into him. I agree - they did have a very close bond. How wonderful, as well, that way back when David and Jonathan were together they had such a wonderful friendship. Jonathan helped David to flee because he could see that his father had an irrational hatred and jealousy toward David. The Bible doesn't tell us what happened to a lot of people because some of it was written while they were still alive - but there are documents that were written that do record what happened to a lot of people. I think you are right about understanding straight away when the Lord convicts us that we get a check in our spirit - because we walk closely with Him and hear his admonishment to us, and apply that conviction in order to avoid going down the wrong path. We listen to the Spirit of God when He speaks to us and don't allow the brain to rationalise things away like the world does. You are right. Marilyn, what do you think sis? 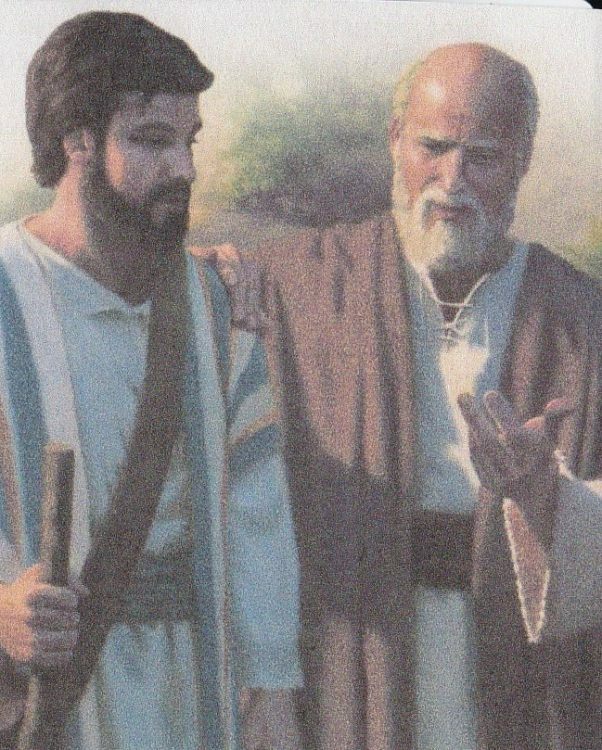 Yes I so love the picture of Paul mentoring Timothy as a son. It would have been so special for both of them. And it seems to me that this aspect of being a mature believer can get lost in all the `meetings` of man`s religious organisations. I realised many years ago that with my limited strength, then `Where was I going to spend it?` I was busy with the music group and ladies group, but eventually I laid that all aside and have been so blessed to mentor some ladies, one on one, and see them do the same. I know people can do that as well as going to a meeting, but I had to choose. Just noticed you posted before me. That was very good sharing with mabel. I so love that we can talk here about God`s word and not have nay sayers. I love my sisters in the Lord. God bless you both. Now I remember you saying you had difficulty with Paul. I think these scriptures in 1 Timothy 2, have caused the trouble. On the face of that it looks horrendous. Paul looks like a real put down of woman. However.....if we look a bit closer at the real meaning of the Greek words we get a totally different picture. Silence - from Gk. words, `hesuchia, hesuchios, & hesuchazo,` with the meanings of refraining from meddlesomeness or speech, keeping one`s seat, quietness. Usurp authority - Gk. word ` authenteo,` to dominate, usurp authority over. So we can see that there were woman who were meddlesome and trying to dominate others. Thus Paul addresses that wrong behaviour. Out English words in translation do not give that meaning and thus has been used for men to dominate woman, (lol). Ridiculous. If we look at other things Paul says we see that he does not put down woman but sees them as equal to the men. This brings me to women in the church I am really confused are they supposed to be bishops etc? is it scriptural? Or has women’s rights gotten skew wif. and why are women lumped together with gay folk? I think all that `title` stuff has got way, way out of hand. In the early gatherings at homes, people recognised the maturity of a person, male or female, (remember Pricilla) and they were then honoured as an elder, someone who would care for & watch over the group. That watching over was not `lording it over,` but as a `nursing mother or caring father,` as Paul showed in his life. There was never the big CEO`s and organisations that are run like businesses. The group all knew each other and help each other & others in their daily life. 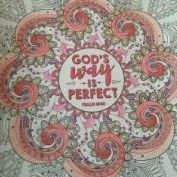 That is what I believe God`s word shows us - true relationship, not just smiles & greetings at an organised public meeting. I believe we, you, me, SisterActs2, and a few others are like a small group that are relating and helping each other in our journey. We don`t have to be in the one spot but we are still relating. God is quite able to help us although we are in different parts of the world, we are still of His Body, and He connects us by His Holy Spirit. I have been enlarged in my person by knowing you mabel and SisterActs2, and some sis & bros, here too. It is a special thing God is doing. Hello Marilyn yes things have gotten so complex along with the business plan to keep the church solvent. In Acts there was only that brief time of what I call authentic fellowship. No body was above or below one another. Yes this journey... bumped into someone today from a church I used to go to and it really emphasises how in a different place I am.